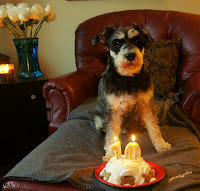 Appalachia & Beyond: Happy Birthday Atticus!!! Today, Atticus M. Finch turns a whopping 10 years old. Who is Atticus M. Finch? 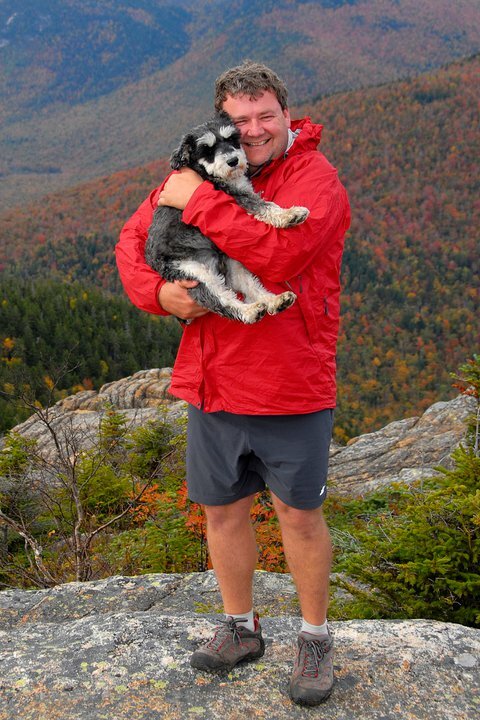 Atticus M. Finch is an amazing Miniature Schnauzer who's probably hiked more miles than we have and through way more ardent conditions than we could ever imagine. We've had the pleasure of getting to know Atticus and his mate Tom Ryan through our outdoor blogging exploits. Late last year, Tom's book, "Following Atticus", made a grand debut on bookshelves. Previous to that we were fortunate enough to win an advanced readers copy and were sent on a virtual adventure as we followed Atticus and Tom and learned more about their lives as well as Atticus's precursor Max while reading "Following Atticus". If you remember correctly, we reviewed the book late last year and if you love adventure or stories with spirit, then you will love "Following Atticus". To celebrate Atticus's 10th birthday, Tom and Atticus would very much appreciate everyone purchasing a copy of their book. It is Tom's birthday wish for Atticus to hit the NY Times best seller's list. If they do so, then they will donate $1,000 to the Jimmy Fund and a $1,000 to Angell Animal Medical Center, two organizations that both Tom and Atticus believe in and support full-heartedly. If you ask us, that's the greatest birthday gift anyone could ask for. If you've been meaning to buy the book, for yourself or as a gift, take some time today or this week and get a copy. All the big stores should have it (i.e. Barnes and Noble, Amazon, etc.) and yes the e-book counts as well. We think that Tom and Atticus should have already been on the NY Times best seller list, and they've been close, so let's put them over the hump and get them on the list. I couldn't think of another pair that deserves it as much as Tom and Atticus. Oh, and don't forget to keep up with Tom and Atticus' adventure over on their blog and Facebook page.